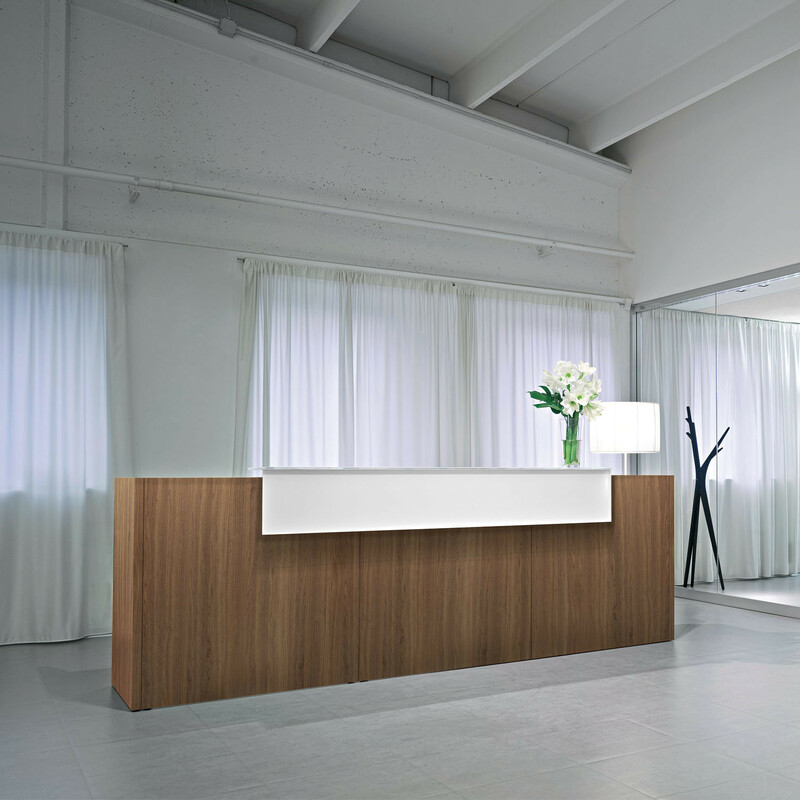 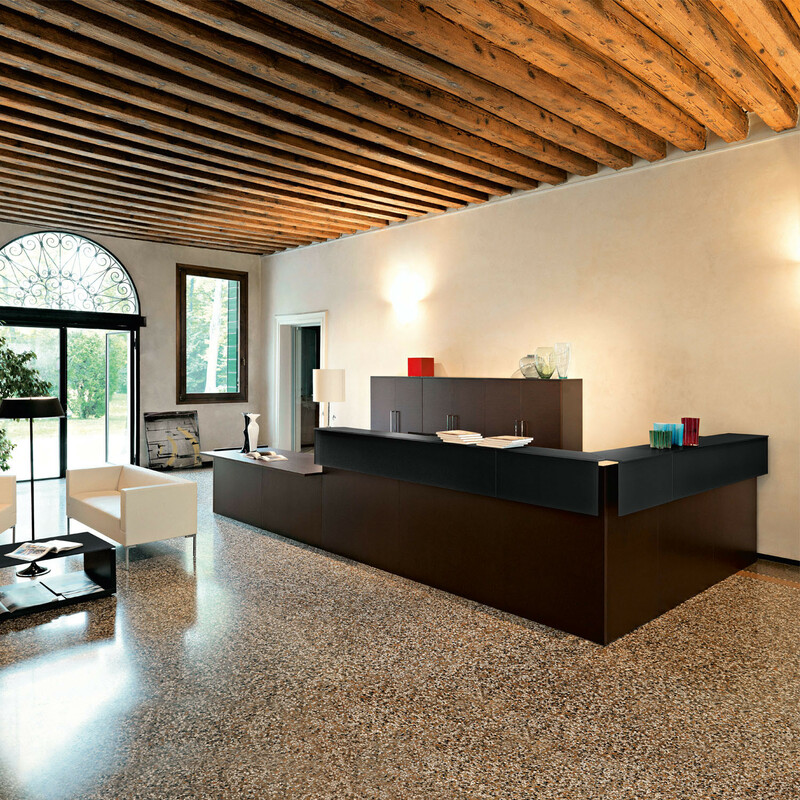 Factory Modular Reception Desks offers clean lines for a modern reception desk aesthetic. 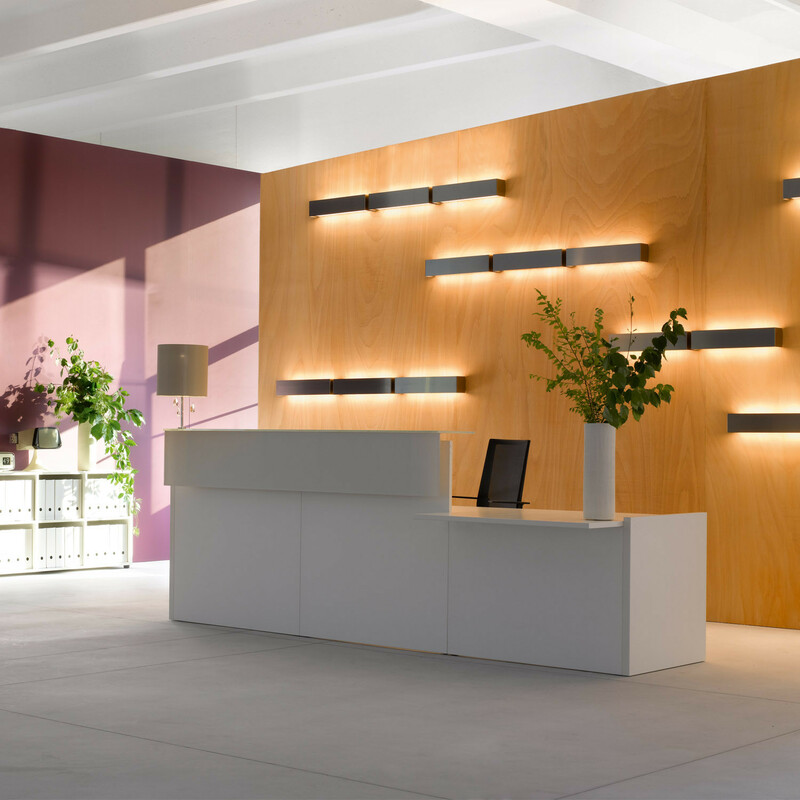 A contemporary range, Sinetica Factory Reception Desks are available in various sizes, with linear compositions and angled modules providing a versatile range to choose from. 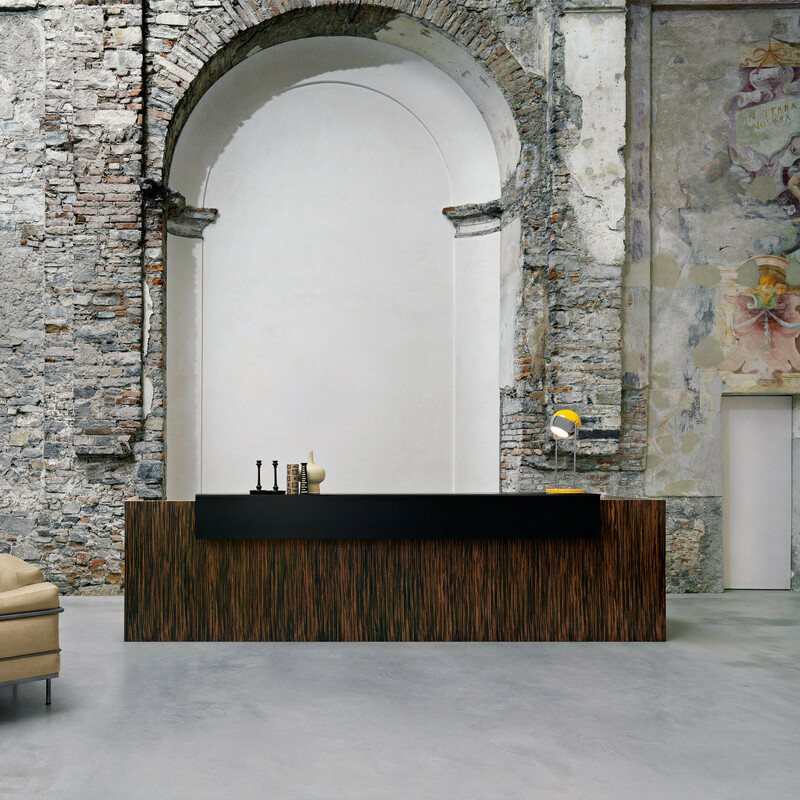 Finishes range from wenge, ebony walnut and cooked oak, through to grey, cement, white or black lacquer, with accessories such as unique lamps for warm lighting effects. 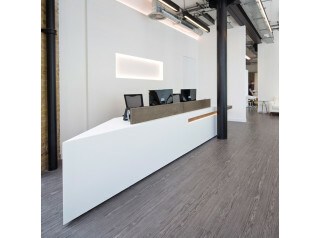 Integrated cable management ensures connectivity. 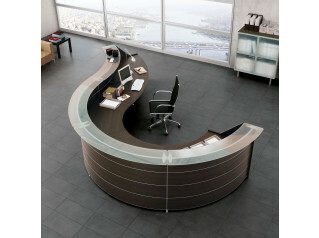 Impress your guests, clients and visitors with a contemporary reception desk. 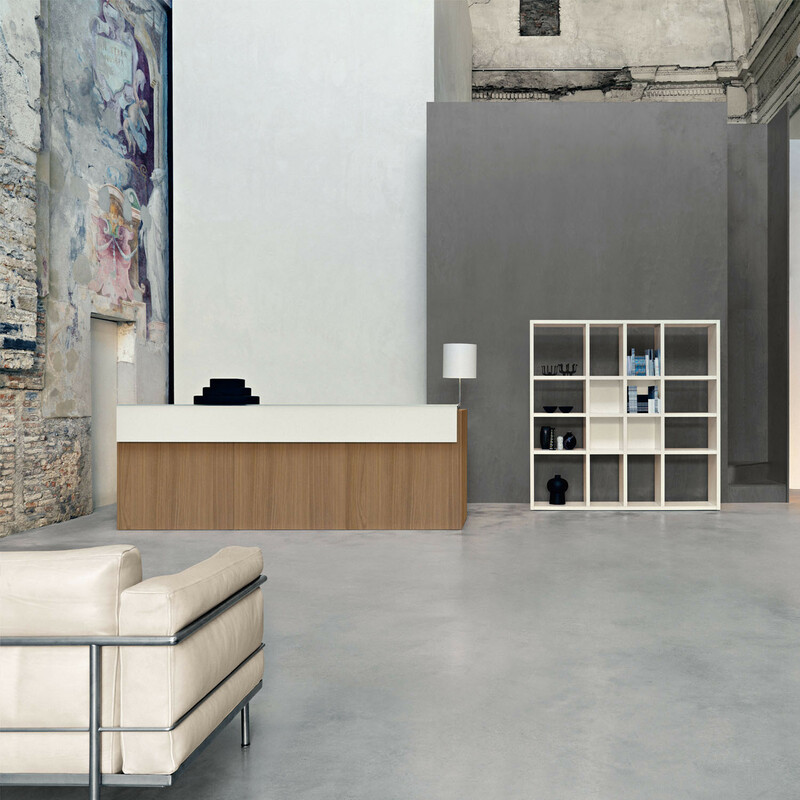 You are requesting a price for the "Factory Modular Reception Desks"
To create a new project and add "Factory Modular Reception Desks" to it please click the button below. 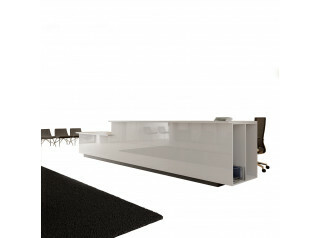 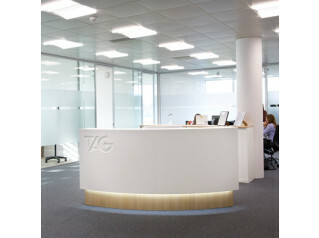 To add "Factory Modular Reception Desks" to an existing project please select below.